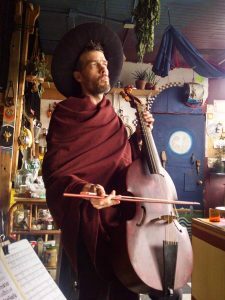 Jacob is a musician, puppeteer, artist and teacher, who is devoted to sharing his love of history and human culture, especially through performance and teaching. He is the founder and director of Rag on a Stick Theatre and the founder and co-director, with Laura Kuhlman, of Orchestra of the Moon, based in Portland, Oregon. Special areas of focus are: Medieval and Renaissance music, early dance and drama, puppetry, the construction, repair and playing of ancient musical instruments, particularly harpsichord, clavichord, hurdy-gurdy, vielle, viola da gamba, and capped reeds. Stardust is a playwright, composer, musician (oboe and English horn), and English teacher. Stardust is focused on the True of Voice musical dance theatre production and is a co-organizer of the Theatre Makers Meetup, as well as other playwrighting and composing projects. Stardust serves on the Board of Directors of two other non-profit organizations: the Online Policy Group and the San Francisco Composers Chamber Orchestra. Stardust formerly worked at the Electronic Frontier Foundation and the Verified Voting Foundation, as well as at various high-tech companies during a prior career. 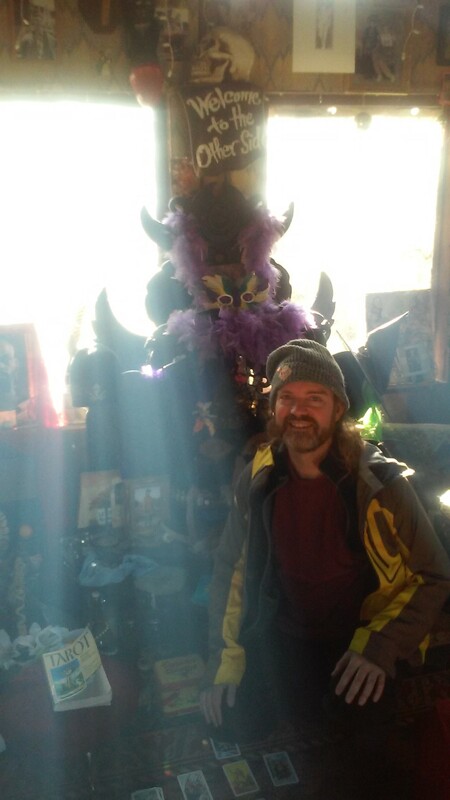 Stardust began directing plays with per Shakespeare adaptation “A Midwinter Afternoon’s Nightmare” and the original “Bush Faeries: The Musical” (2018) staged at Breitenbush Community Hot Springs winter radical faerie gatherings. Stardust is a co-writer with Iryna Lymar and director of the Theatre Maker plays “Animal Factory Farm” (2018) and “Ecopocalypse” (2018) and co-writer with Iryna Lymar of “You Too” (planned 2019) and a co-writer with Kari Barclay of “20/20” (San Francisco Fringe Festival 2019). Matthew is a multimedia artist and virtual reality developer. He co-founded Virtual Bytes, an art, education and research collective creating virtual reality experiences and research that utilize neuroscience concepts to explore the mind/body connection. 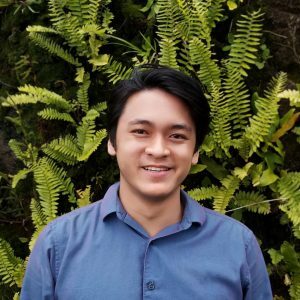 He is passionate about using his background in creative media and technology to develop virtual reality experiences that challenge our preconceptions about the world around us, and help us connect to each other in new ways. 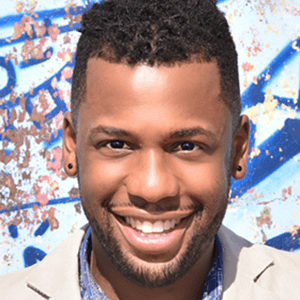 JP has worked as a music director, actor, and countertenor at a variety of theaters and schools in the San Francisco Bay Area and greater Los Angeles. With a B.M. in Vocal Performance from California State University at Northridge, JP performed in the Al McNeal Jubilee Singers, the L.A. Opera Chorus, and the Pacific Mozart Ensemble during the first decade of the 20th century. During this decade, JP performed in Pacific Collegium, the Grace Cathedral Choir of Men and Boys, the Cathedral of Christ the Light Chorus, and still performs in the Philharmonia Baroque Orchestra Chorus. Theater credits include the role of Jamie in “The Last Five Years” at the Moonlet Theater, Irving in “Babes at Arms”, an ensemble role in “No No Nanette”, and musical director roles for “Sweet Charity” at 42nd Street Moon, “Cabaret” at Abraham Lincoln High School, and “Seussical the Musical” at Mercy High School. JP has worked as music director of Young Performers Thatre and St. James School and most recently starred as “” in the West Edge Opera premiere of “Mata Hari”. Iryna was born in Ukraine, lived in China for 8 years, and eventually moved to California. She studied linguistics and speaks 4 languages: English, Chinese (Mandarin), Ukrainian, and Russian. While doing management and translation jobs in China, Iryna started exploring writing and the theater world. She wrote a compilation of stories about strangers called “Just some strangers on the way” (the book is registered in Ukraine) and a short script called “Robot Buddha”. She co-directed the “Robot Buddha” play in Shenzhen, China, in 2016. Besides that, she was an active member of improv group called “Planet Factory” and acted at monthly shows for a year. Now Iryna lives in San Francisco, teaches yoga and participates in local theater life. 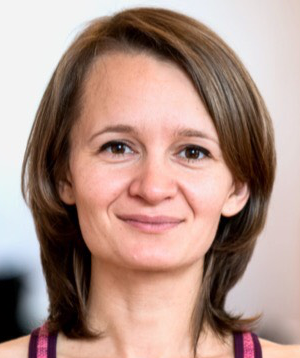 Iryna is a co-writer of the Theatre Maker plays “Animal Factory Farm“, “Ecopocalypse” and “You Too“. Ritual Art Troupe is always seeking new talent and experience for its Board of Directors. If you are interested or know someone who might be a good fit, please email info@ritualart.org. The Ritual Art Troupe held a board meeting at 3:00pm on October 5, 2018, with Board Meeting Minutes here. At the start of the meeting, the members of the RAT board were Jacob Breedlove, Stardust Doherty, and Matthew Hoe. The organization is actively seeking new board members and approved Jean-Paul Jones and Iryna Lymar as new board members.